It didn't rain when Kien and I walked down to the viaduct, which was lucky because all Wednesday morning resembled an on/off/on sky sprinkling system. 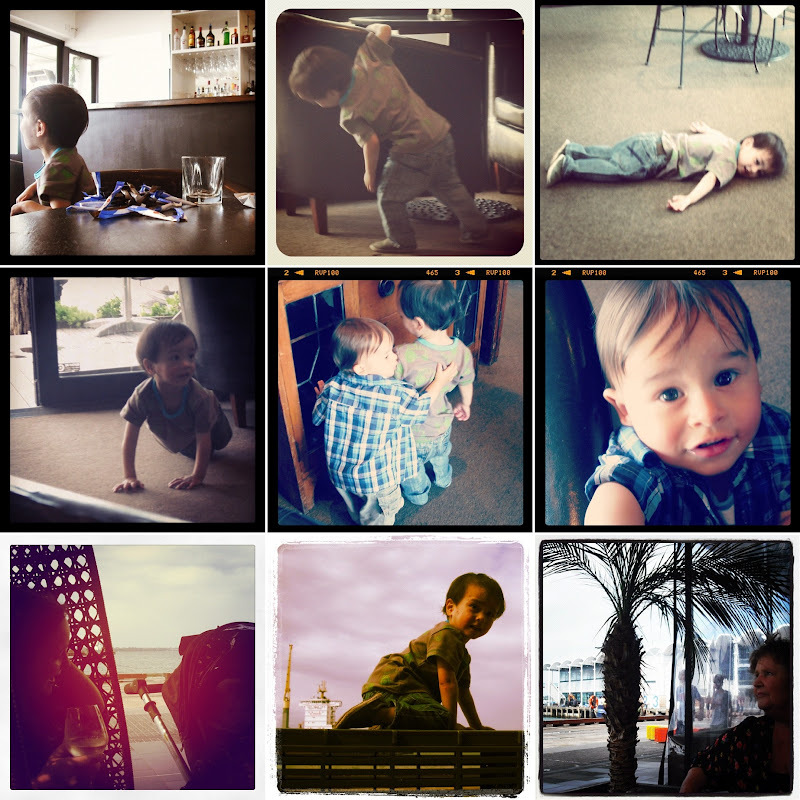 We had a date with family; met up at Portside Brassarie on Halsey St, enjoyed some very thin crust pizzas accompanied by a drop or two of Pinot Gris, and watched the kids run around the joint. Luckily the friendly waitress was accommodating, and didn't mind that Kien was climbing onto booths and rolling on the floor. We then headed down to Wynyard Quarter, and chose The Conservatory for our next stop - mainly because of the hanging wicker swings. 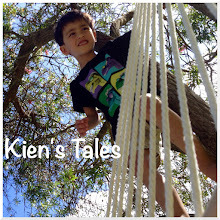 Kien did his usual - running and jumping all over the place. It was a pleasantly enjoyable Wednesday afternoon at the newest of Auckland's tourist destinations, which happens to be (almost) my back yard. I'm glad I got us a backpack. Our "first use" outing was a success!